The following questions about visitor parking spaces have been received into the site. Leanne Habib, Premium Strata provides the following responses. Question: We have a general By-law stating residents must not park on common property without written approval. Is this sufficient or should we specifically refer to visitor parking spaces? We have a visitor parking space area which combines both spots for individual resident parking and visitor parking. We also have another building that has enclosed individual garages. Many residents are using visitor parking to park their second car or because they keep household goods in their garages. For many years there have been no restrictions to parking in the visitor car areas. Now we want to introduce a parking By-law that defines the terms of parking in the visitor. car park, including appropriate signage. We have a general By-law that states residents must not park or stand their motor vehicle on common property without the written approval of the Owners Corporation. Is this by-law sufficient or does it need to be amended to specifically refer to the visitor parking spaces and the terms of parking rules & signage? Answer: A very specific visitor parking by-law should be drafted by a strata lawyer. Technically, this by-law is adequate because visitor car parking is common property. However, abuse of visitor parking is common and therefore, to highlight that visitor parking is for bona fide visitor parking only, a very specific visitor parking by-law should be drafted by a strata lawyer. Question: I was fined for not parking in a visitor parking space at my girlfriend’s apartment. They are pursuing her for the money. Is this parking fine from the owners corporation valid? I neglected to use a visitor parking space when I parked overnight at my girlfriend’s apartment. Although there are no lines or bays in the space, there are also no signs saying ‘No Parking’, there are only signs about picking up dog poop. This is in Chatswood NSW. Strata placed a paper notice on the car stating I was fined $300. The fine was an administration fee for viewing the CCTV footage. They are now pursuing my girlfriend for payment of the fine. They have stated that if the fine for not using a visitor parking space isn’t paid, they will block her Security pass to access her property. I’ll be sure to only park in visitor parking spaces in the future, but I don’t want to pay for the fine. Is this parking fine from the owners corporation valid? Answer: Only NCAT has jurisdiction to issue “fines” or “penalties” in this context. Therefore, it is highly unlikely this fine could be enforced. Only NCAT has jurisdiction to issue “fines” or “penalties” in this context. Therefore, it is highly unlikely this fine could be enforced. However, the “fine” might be disguised as an “administration fee” under the by-laws applicable to the scheme – so you will need to review the by-laws on this aspect. We cannot see any legal justification for de-activation of the security pass, so your girlfriend should ask on what legal basis they feel entitled to deny her access to her property. Further, there was a recent NCAT case which stated that such a “parking administration fee” was unlawful. Details of this case can be seen here: Enforcing By-laws: Can the Owners Corporation Impose a Fine or Penalty? Question: Some residents in our building use the visitor parking spaces as an additional parking spot. Is it possible to increase levies for these few residents and not all lot owners? My inquiry is in relation to a small-sized strata plan in NSW with most lots being owner-occupied. There are 5 visitor parking spaces on common property which is mostly occupied by the residents – both owners (who are also strata committee members) & tenants. One owner (a strata committee members) feels this isn’t right as their visitors and other residents do not get to use the visitor parking spaces as, by the time they are home from work, all visitor spots are taken by other residents. Please note that all lots have their own individual parking, but due to having multiple vehicles they utilise visitor parking spaces if empty. The concerned owner has complained to our Strata manager and put a proposal to the strata committee. Regarding the proposal, most members responded that they would rather use the visitor parking spaces to park their vehicles inside their building at night after work, rather than park on the street and leave the visitor parking spaces empty as, during weekdays, visitors to the building are minimal. However, this one owner feels that in doing so they are being unfair to other residents and their visitors. They recommend an increase in levies for those residents who want to use the visitor parking spaces. As levies are paid according to unit entitlements, is it possible to increase levies for a few and not all? This owner keeps insisting that it is not fair that they all are paying the same levies and other residents get to use common property more. They recommend that they pay less levies compared to others or they pay some sort of parking fee for using visitor parking spaces. Most committee members are against this idea of a parking fee and would also prefer not to pass a by-law for ‘exclusive use’ of visitor parking spaces as the spots are being used as and when available by all residents. Please advise if such an arrangement can be made where those residents who frequently use visitor parking spaces pay some additional amount to their strata levy. Answer: First you need to ascertain from the development consent for the building exactly how many visitor parking spaces are required by law. Before answering the question on whether such an arrangement would be legal, you would need to ascertain from the development consent for the building (available from Council) exactly how many visitor parking spaces are required by law. Visitor car parks are to be used for bona fide purposes, therefore, charging residents for a contrary use would not be recommended. The scheme could, however, apply to modify the council conditions and, subject to consent, convert some of the spaces to common property parking spaces and then licence, lease or otherwise charge fees for use (or give exclusive use which they are resisting) (rather than increasing levies). Subject to council consent, you could also apply to convert them to individual lot property and sell off any extra spaces for valuable consideration (to be paid to the owners corporation). This will require a subdivision of the strata plan. Q&A Can the Owners Corporation lease out visitor parking spaces? Question: Is it possible for the owners corporation to lease out additional visitor parking spaces to a retail lot owner and if so, what would be the process? We manage a building of 80 odd lots, made up of mostly residential with a very small number of retail units. Is it possible for the owners corporation to lease out additional visitor parking spaces to a retail lot owner who has made this request and if so what would the process be to do this? The owners corporation are under the impression that they cannot acquire a profit for the scheme and that the retail owner is restricted to approaching lot owners individually regarding a personal arrangement to lease from them. Clarification on this matter would be much appreciated. Answer: While the Owners Corporation has the power to lease out common property by special resolution, the fact that the area in question is a “Visitor car park” complicates matters. While the Owners Corporation has the power to lease out common property by special resolution, the fact that the area in question is a “Visitor car park” complicates matters as the visitor car parks must be used for that bona fide purpose. If you lease it to the retail lot owner, that prevents bona fide other visitors to the scheme from parking there. What you can do is review the development consent for the building. In our experience, sometimes a building has more visitor parking spaces than council stipulates as being required. In that case, the Owners Corporation could sell (by way of a strata plan of subdivision and transfer) or lease the “additional” car space for valuable consideration. In other words, the development consent will determine how many visitor car spaces must be reserved for this purpose. There is no restriction on the Owners Corporation to sell, lease, licence, grant exclusive use of common property for profit provided the Owners Corporation adheres to the processes outlined in the strata legislation. 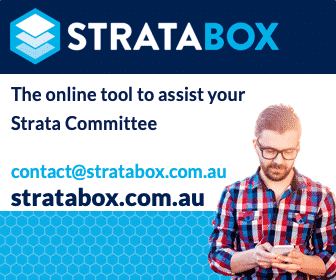 You will require a range of motions to be passed by special and ordinary resolution, forms will need to be executed, agreements etc drafted by a specialist strata lawyer. So, if the Owners Corporation has an extra car space, it is at liberty to profit from it. As for leasing from an individual lot owner, this is acceptable too. This post appears in Strata News #159. Q&A Can Access to Visitor Parking Spaces be Restricted? Question: Can access to the visitor parking spaces be restricted for my guests? I purchased a unit in Western Sydney and have been experiencing issues with the Strata Manager who is also a substantial unit owner of the building. My unit is not allocated a car space. My main issue with this is the Strata Manager is restricting my access to the guest parking. He advises me there is currently a procedure being put in place to allow me guest access. He is of the opinion I will let my guests park in the unit owners allocated spaces if the guest parking is full. I am uncertain as to what to do because the “procedure” he is putting in place will likely take an extended amount of time. Answer: The visitor parking spaces should be accessible by all genuine visitors. The visitor parking spaces should be accessible to all genuine visitors. If the current manager, in conjunction with the Owners Corporation, is considering implementing a process for access or use of the visitor parking spaces, it must ensure that any agreed procedure is in keeping with the strata bylaws and development consent applicable to the scheme. It is difficult to comment any further without knowing what the proposed process is and to advise if the proposed process conflicts with the legislation in general and or the DA and strata bylaws. We would suggest as a step to resolve the issue that you request your guests have access to the visitor parking spaces as required under the DA. Any issues or concerns that the manager has with regards to you allowing your guests to park in the allocated spaces should be dealt with as set out under the legalisation, i.e. enforcement of by law compliance. This post appears in Strata News #101. NSW: Q&A Apartment With No Car Park – Can We Share Parking? In Western Australia a strata company could license the use of car bays for a fee, subject to local planning restrictions and the scheme development approval. The strata company should adopt a bylaw to enable the activity and preferably set some rules on the operation of the licensing i.e. restricted to owners and occupiers within the scheme. Before embarking on the enterprise it is important to consider the income tax implications for owners as the license fees would be non-mutual income and possibly assessed in the hands of the lot owners – refer to ATO TR2015/3. This Tax Rulings application varies from state to state but that it also set out in the ruling. Visitors parking, has become a joke in our complex, as one family claim them as their own. We have tried being polite, firm, and out of sheer desperation have considered parking them in. They ignore it all. We have spoken to police and council, not their problem, we would happily pay to have them towed away, but it is illegal. This is common place in many complexes, and is infuriating as people simply show their contempt for others. Next time we buy, we are going to ask about parking problems, parties, building problems, from other owners,if they have problems we will simply look elsewhere. In a perfect world, these visitors car spaces should have ‘2 hour’ time limits. The only way I can see this working is to breach the offender. Though trying to find out who the offender is comes with its own set of problems (such as privacy issues – the authorities won’t tell you who the owner is even if you have the registration). Unless you keep a record of every tenant’s vehicle registration. Though your owner’s corporation fees may increase. New developments in this area (due to lack of parking spaces) is “THE SHARED CAR’ revolution which is coming to high rise buildings which could stop these issues especially when each tenant has their own car. I know of a case where a parking inspector was allowed to enter a property to fine a car but this was a unique arrangement, and the garage was open access. There’s a lot to consider here. A member of Parliament should really look into this. We purchased our unit on the ground floor because I cannot climb stairs and there is no lift. We noted the exclusive use car spaces outside our windows but thought that use of this area would be governed by other strata bylaws such as not making unreasonable noise. No so here. One owner can “give permission’ to an unlimited number of relatives, friends, and friends of friends to use their carspace which is right in front of our windows. If one comes when another is using it they double park on common property which of course is not allowed. Worse, 6 vehicles belonging to other residents have also been ‘given permission’ to use the car space closest to our windows. This means that there is a constant coming and going there, with slamming doors, and yelling passengers. We have no peace at all. Our loudest committee members have no carspace, so they do oppose any action, which is supported by our strata manager.